Driving back home from driving all over Las Vegas, I first saw it on the freeway. I decided to follow it and turn into a gas station. I was surprised and this was the third one I seen. The other two were in California for the Festival of Speed. (If you like to see picture from that I will post them in forum) Owner was super cool and appreciated my comments. I hope that I can see it again on a better day. @dandude999: Unfortunately, it is on the track so I wouldn't able to post it. But check out the link above. I can post photos on there. 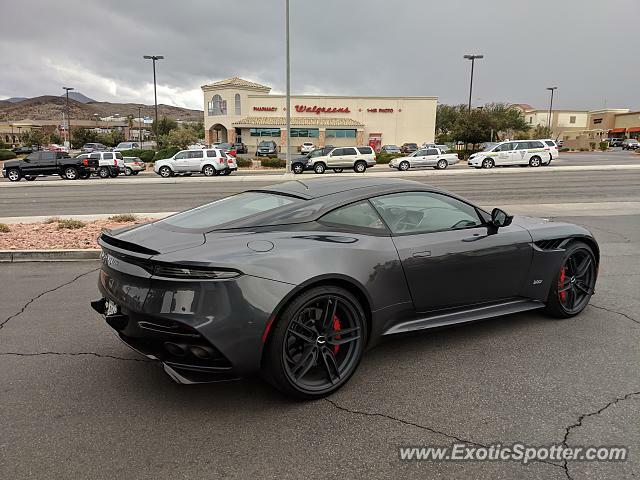 I would love to see the other DB11s you saw! Great spot! The first (and only) ones I've seen were also those 2 at OC Festival of Speed.